Get ready, geeks! AsiaPOP Comicon Manila 2018 (APCC Manila 2018) is happening from July 27 to 29 at the SMX Convention Center in Pasay City. 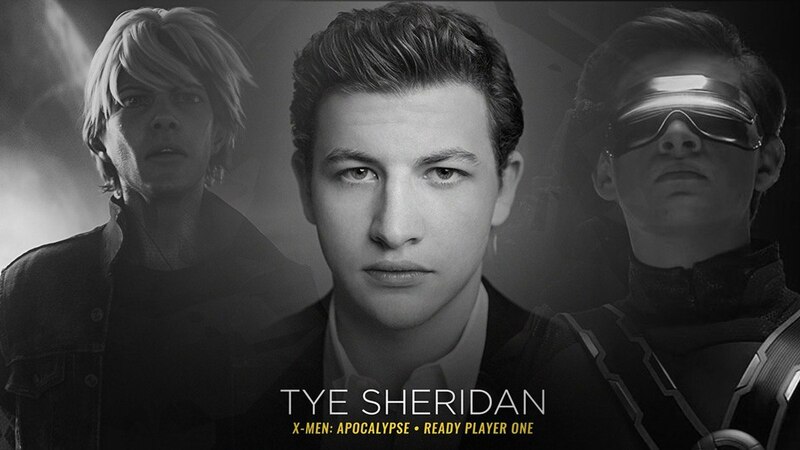 APCC has finally announced its latest celebrity headliner: Tye Sheridan, the ambitious Gunter Wade Watts from Steven Spielberg’s box-office blockbuster, Ready Player One. 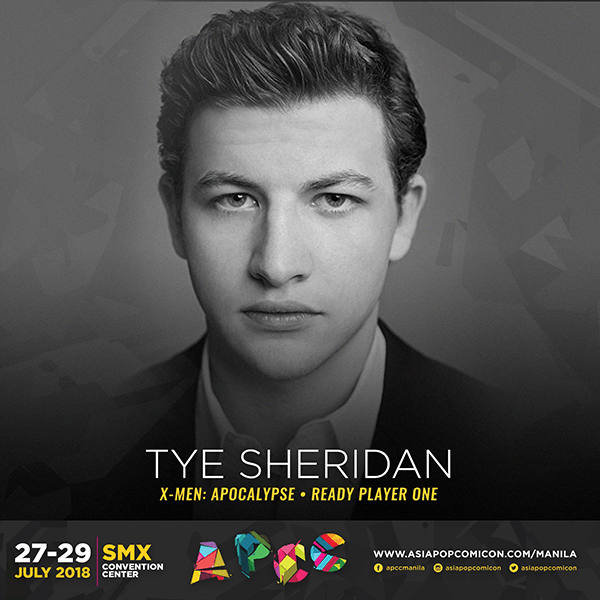 Tye Sheridan, best known for playing lead mutant Cyclops in X-Men: Apocalypse, made his film debut in the critically-acclaimed The Tree of Life, and has also starred in drama films such as Mud, Joe, and The Stanford Prison Experiment. Sheridan will reprise his role as Cyclops in X-Men: Dark Phoenix, which is set to be released later this year. Sheridan will grace the convention together with Finn Jones of the Marvel series Iron Fist and HBO's Game of Thrones. #NetflixAPCC will also be back at AsiaPOP this year, with more surprises awaiting Netflix fans. Get to experience your favorite shows, take photos, win items, and have a lot of fun. The streaming service is also encouraging its fans to dress up like Eleven or any of the Netflix characters you love and swing by their booth. They will also have a special panel session, where Netflix stars will give out interviews and share never-before-seen footage from upcoming shows. Meanwhile, back to spill more creative juices on the AsiaPOP Comicon main floor is digital artist Stanley Lau a.k.a. artgerm. Aside from being an illustrator, he is also a designer, concept artist, and co-founder of the acclaimed Imaginary Friends Studios. Added to the lineup is cosplayer, model, actress, and live-streamer Vera Chimera, who got her big break as Lilith the Siren in the game Borderlands 2. Vera's recent projects include several Overwatch events, where she cosplays the zippy pistol-toter Tracer, with Blizzard Entertainment, as well as a slew of local and international conventions. Not to be outdone is the return of Yugana Senshi Uon. A cosplayer since 2013, her creepy-cool portrayals of various pop culture characters has made her a mainstay in events all over Asia and the world, appearing for various brands and judging cosplay competitions. Her work has been featured all over the world through publications such as Smoosh, Cosplay Culture, and Cosplayzine. Joining the roster is the duo of artists Amanda Visell and Michelle Valigura, whose works have been licensed by the likes of Disneyland, Kidrobot, and other big names. Both got their big break working on stop-motion animation for the Simpsons series and the film Elf, and both co-founded design brand Switcheroo. More exciting announcements of APCC’s partnerships with Marvel, Disney, Netflix, and other studios who are returning this year are expected to roll out soon, which will definitely pump up the convention’s main hall. 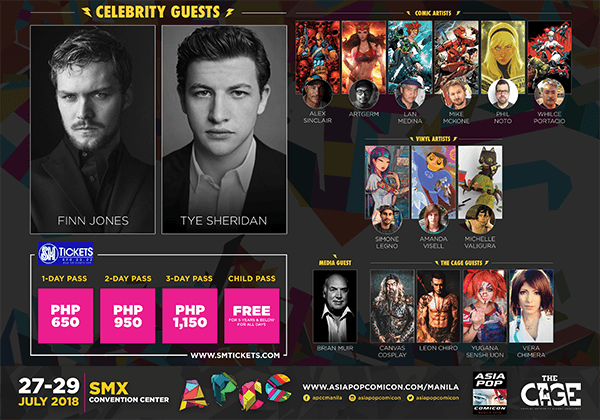 APCC Manila 2018 tickets are now available via SM Tickets website, https://smtickets.com/, and at all SM Tickets outlets, with ticket prices PhP650 (one-day pass), PhP950 (two-day pass), and PhP1,150 (three-day pass). All these will give the ticket holder access to stage activities, performances, and the main exhibition floor. The event is free for children aged five years and below for all days, but a valid identification is required for verification purposes before entering the show floor.